Lake Inman - All photos by Jim Mason Here are some wetlands on the rebound! Prior to 1880, more than 125 square miles of wetlands existed in the McPherson Valley. These marshes, formed at the end of the Ice Age, were second in importance only to Cheyenne Bottoms in providing sustenance to waterfowl and water birds migrating through Kansas. At the turn of the century the marshes were drained and the land was turned over to agriculture. 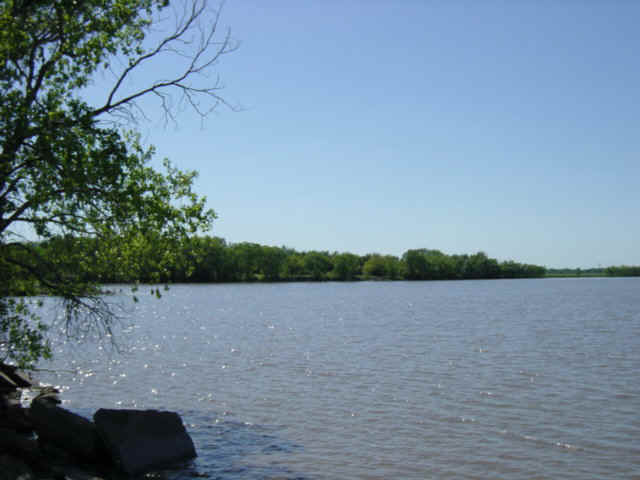 Lake Inman (the largest natural lake in Kansas), Clear Pond, and a few small marshes were all that was left of the formerly extensive wetlands network. In 1989 the Kansas Department of Wildlife and Parks, Ducks Unlimited, and the U.S. Fish and Wildlife Service jointly began to acquire land (on a willing-seller basis) and restore the wetlands. Clear Pond and Lake Inman are, at this time, the best sites for viewing migrating waterfowl and water birds. Wetlands being restored near Clear Pond are the Kubin Marshes, Big Basin Marshes and Chain of Lakes. The Little Sinkhole marshes are being restored south of Inman. Watch for ducks: northern pintails, American wigeons, northern shovelers, mallards, green-winged teal, ring-necked ducks, lesser scaup, blue-winged teal, redheads, buffleheads, and common goldeneyes. Geese are common. Watch also for sandpipers, plovers, herons, cormorants, and pelicans. There is a handicapped-accessible photo blind at Clear Pond. Brochures for the McPherson Valley Wetlands may be obtained from the kiosk at the parking lot here. Click the icon to find a birding list for McPherson County. Directions: To reach Lake Inman, travel 3 miles east from K-61 at Inman on Cherokee Rd., then 3/4 miles north on 11th Ave.
A Google Map for Lake Inman is here. A Google Map for Clear Pond is here. Ownership, McPherson wetlands: The entity responsible for management of McPherson Wetlands is the Kansas Department of Wildlife, Parks & Tourism. Contact them at (316) 683-8069 if you have specific questions about use or management of this site. 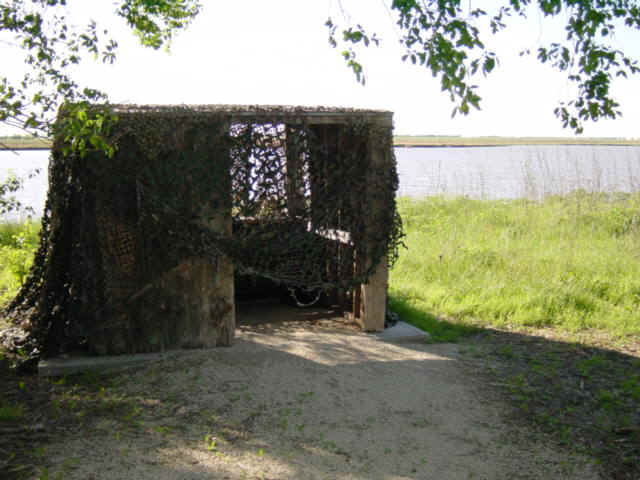 You may download the KDWPT brochure for McPherson Wetlands from their web site.